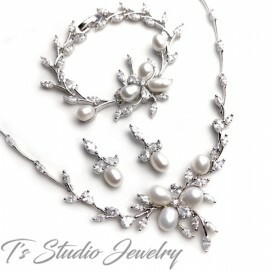 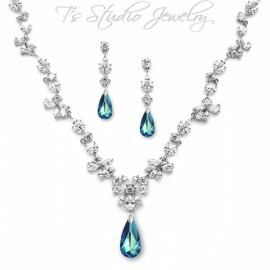 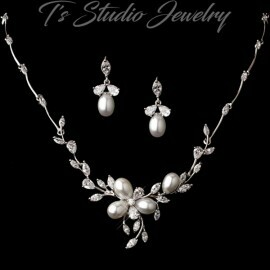 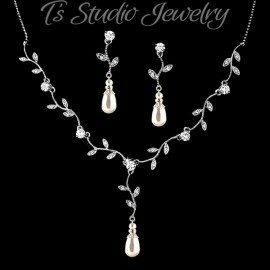 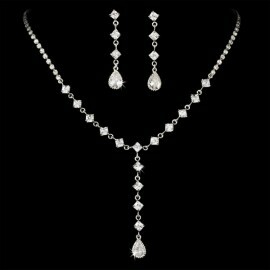 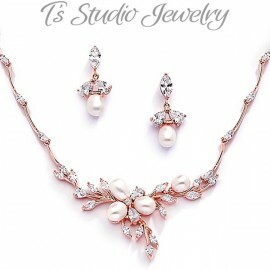 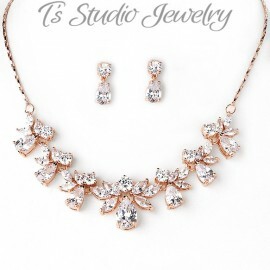 This gorgeous set is very modern and chic. 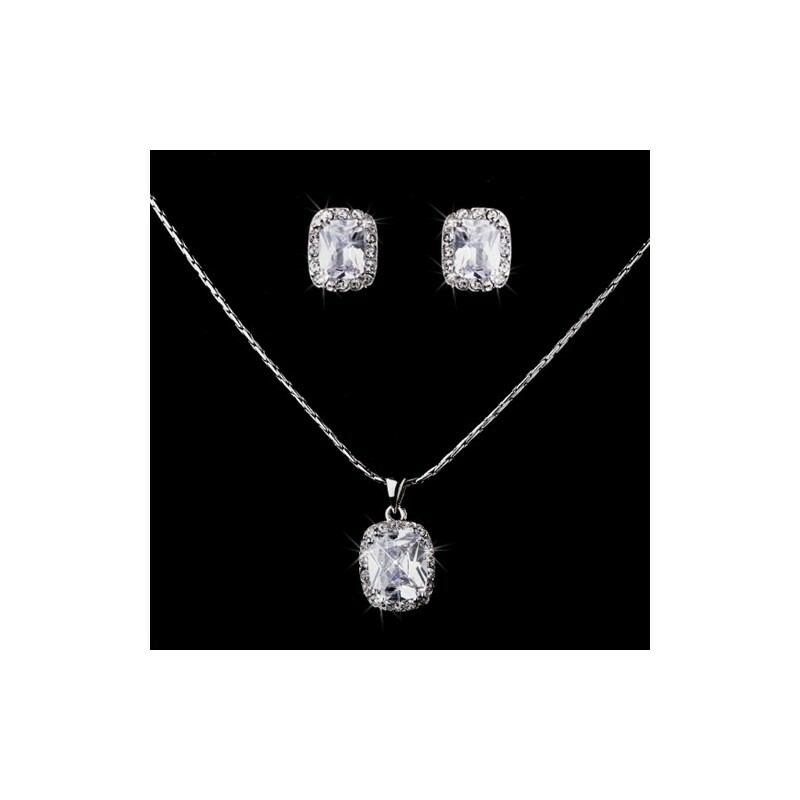 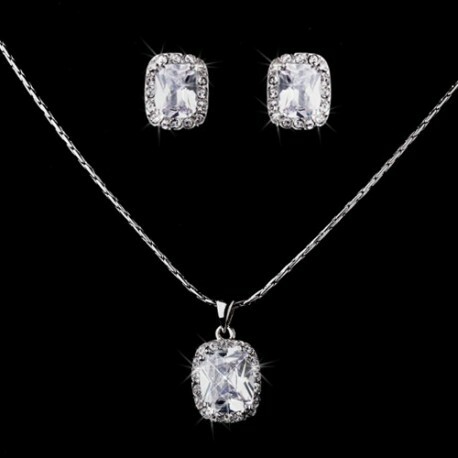 In silver plating, this set features a large rectangle cushion cut cubic zirconia stone surrounded by an array of smaller stones. 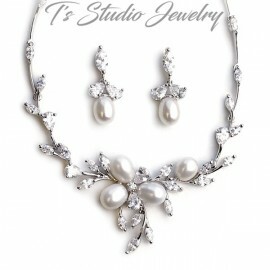 The matching stud earrings make it a trendy addition to any modern wedding or casual event. 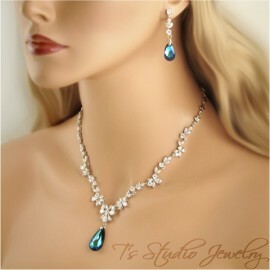 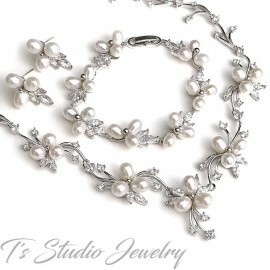 Necklace measures 15”, with a 1” drop, and has an extender chain in the back.